Building Bridges a place to come and Network with other people in the Tri-Cites. 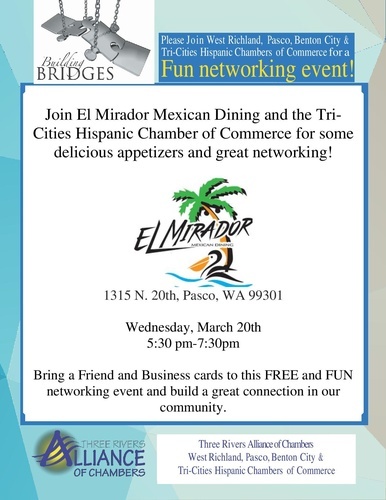 Come and join the Tri-Cities Hispanic Chamber with the Alliance of Chambers and get to know new people. Bring your co-workers and have a great time!